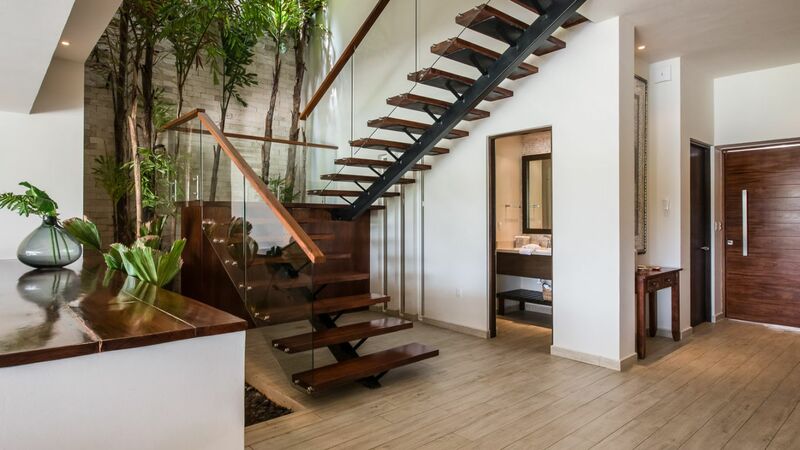 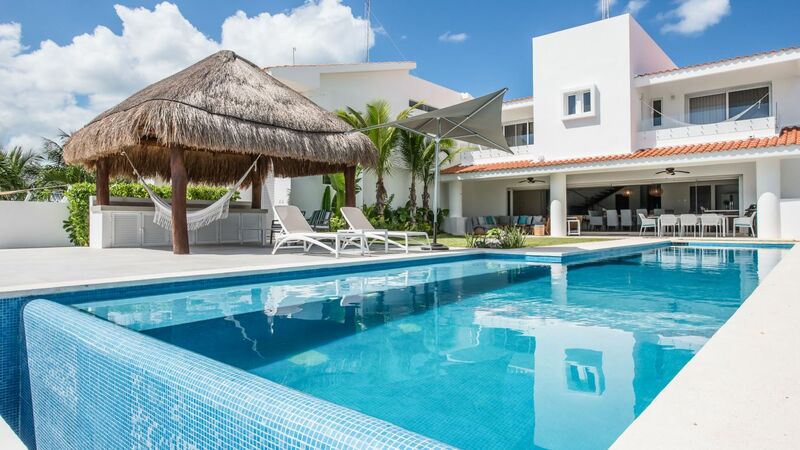 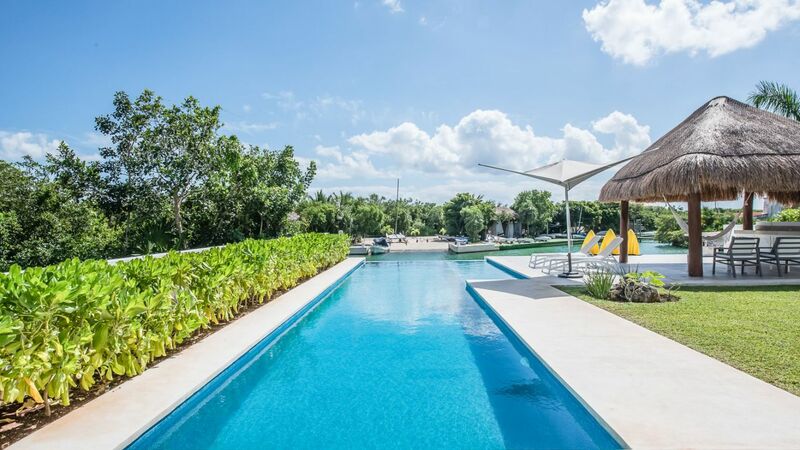 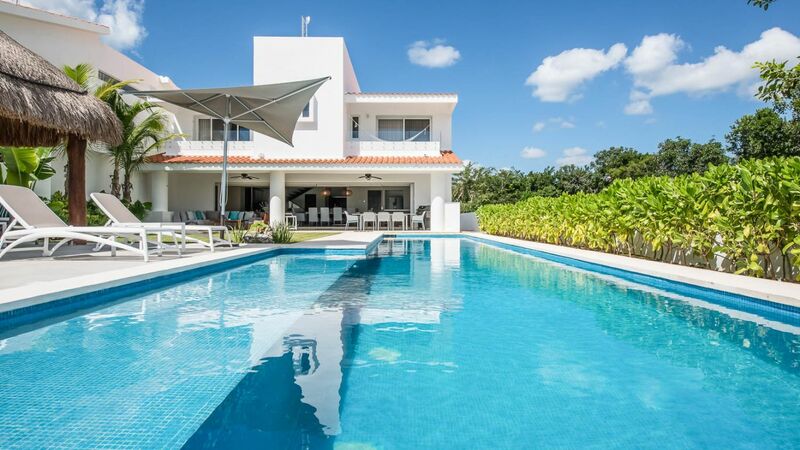 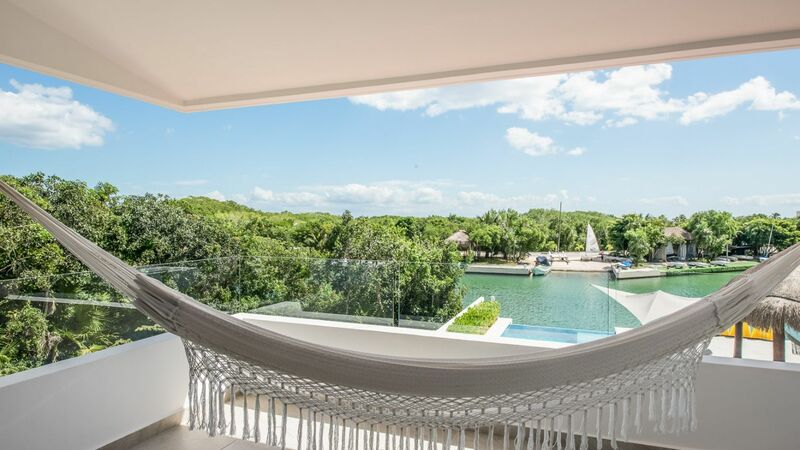 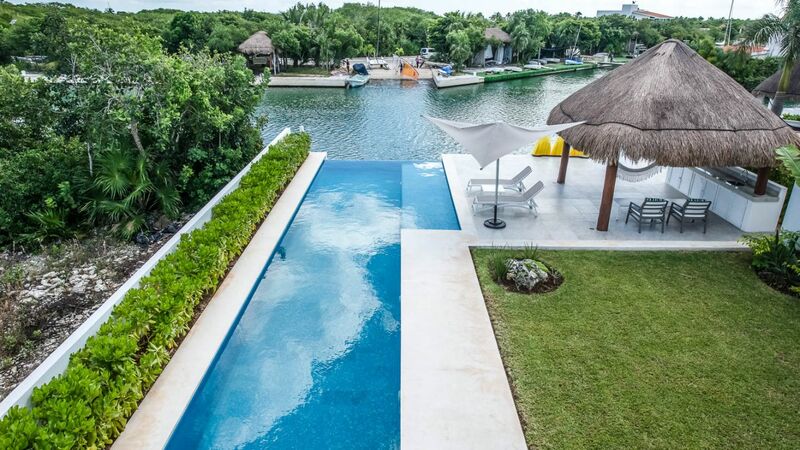 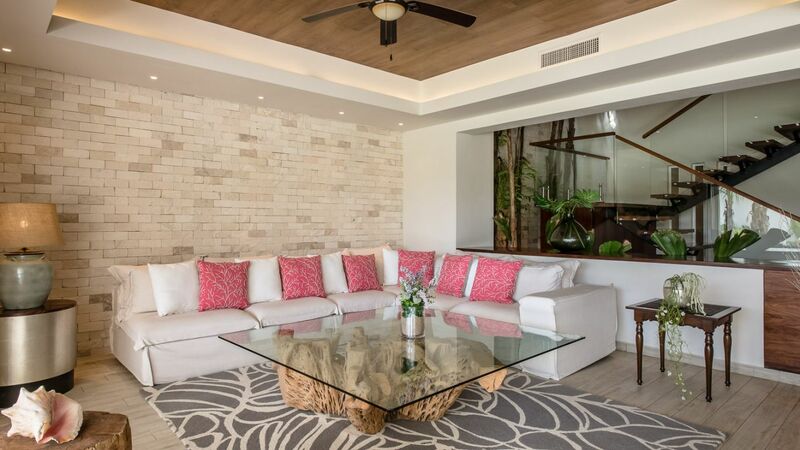 Villa Kamila is an astounding property built on the edge of Puerto Aventuras aquamarine, just off the Caribbean Sea. 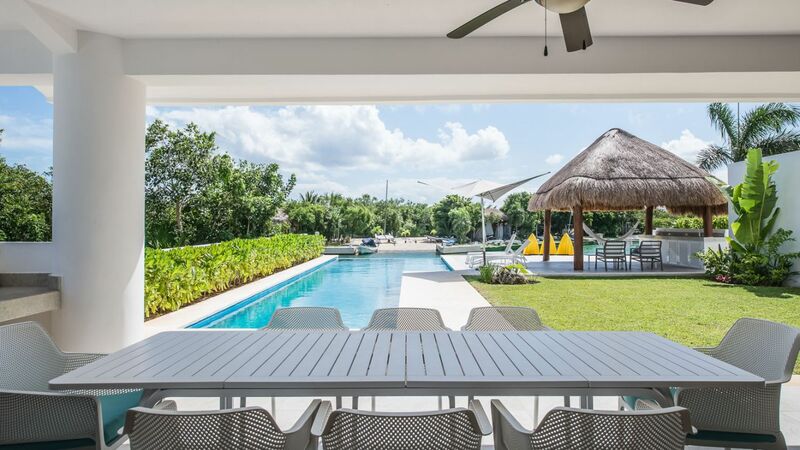 It is located in the heart of the Mayan Riviera, 15 minutes away from the city of Playa del Carmen and 35 minutes from Tulum, where you can find beautiful beaches, archeological sites and a wide variety of cenotes. 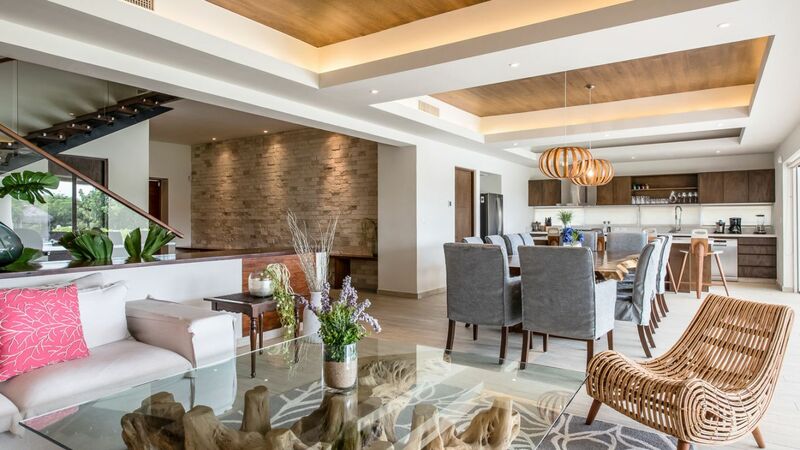 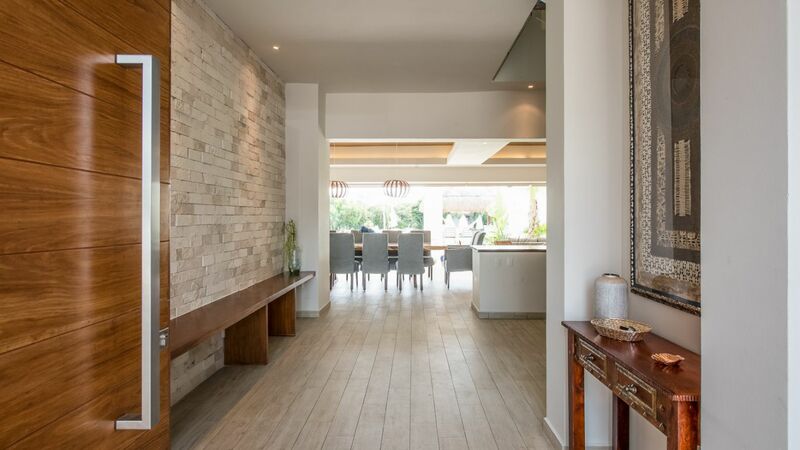 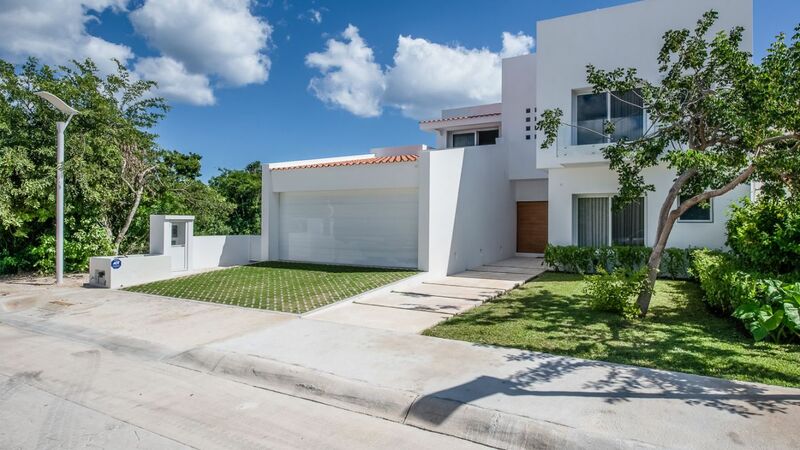 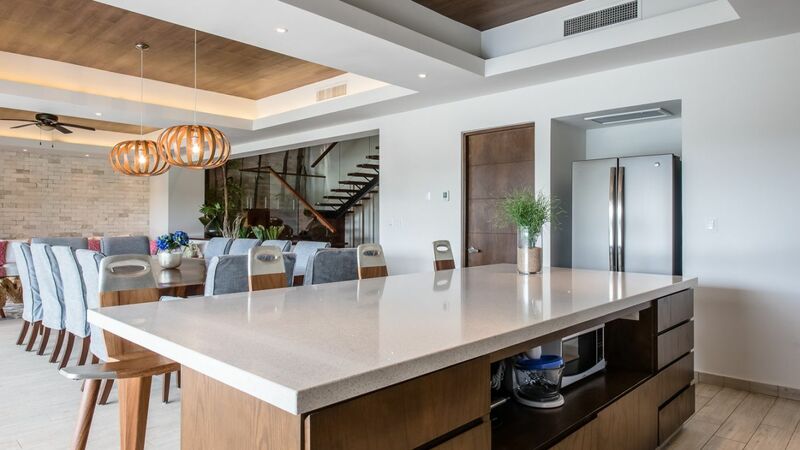 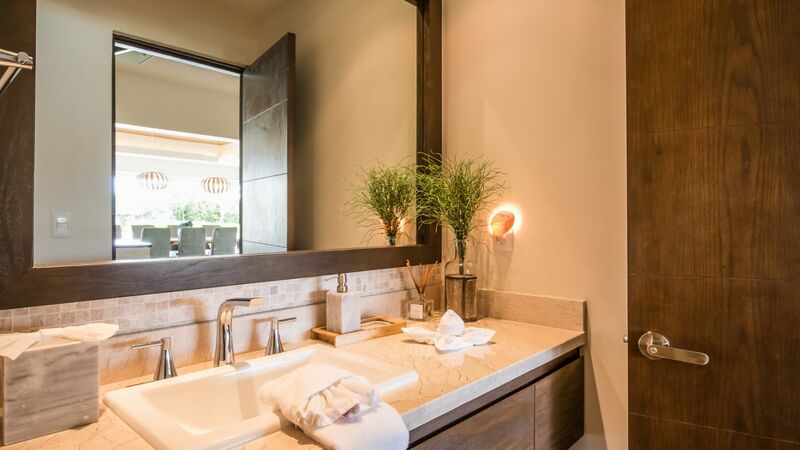 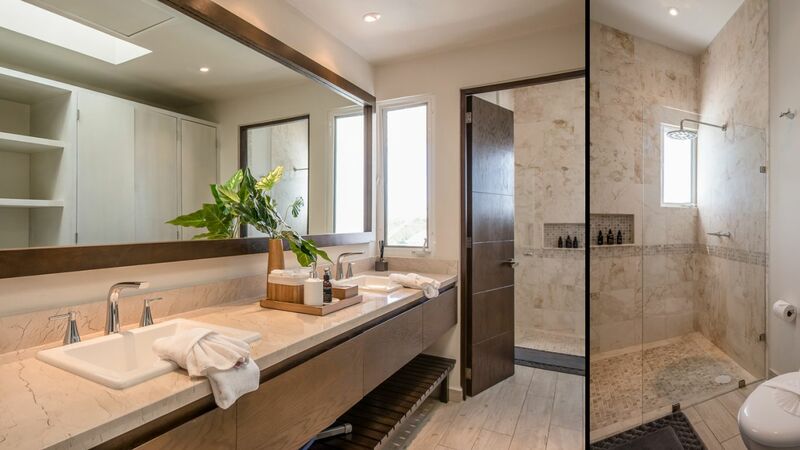 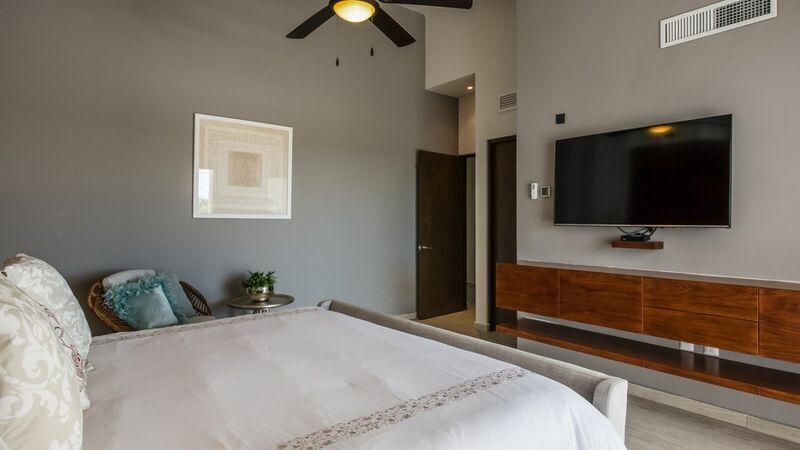 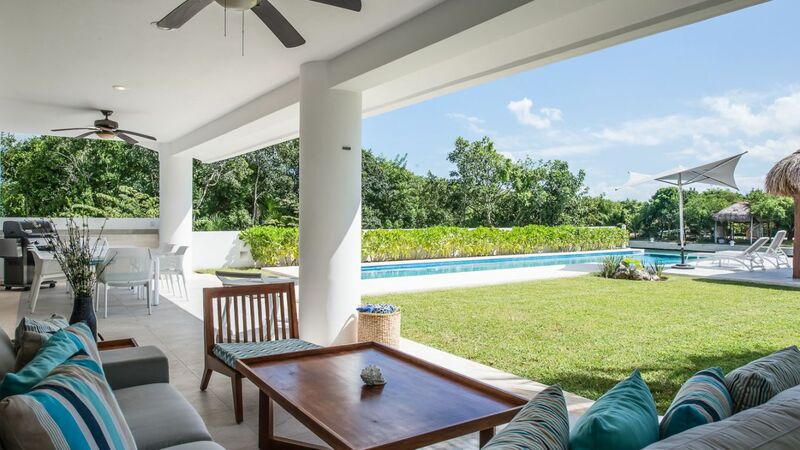 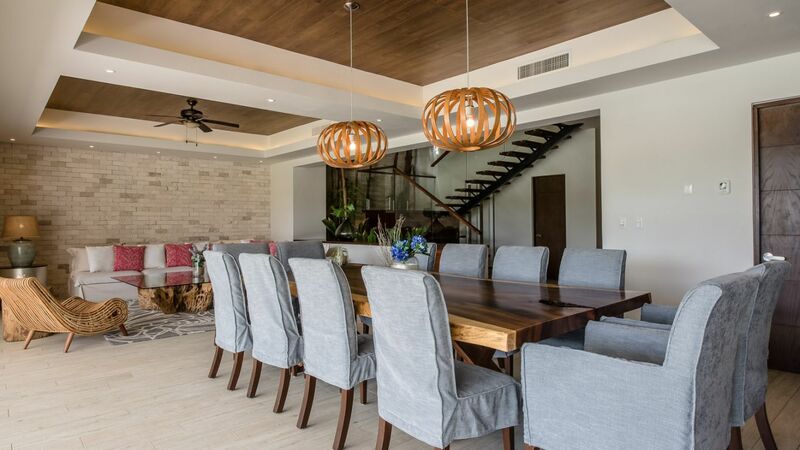 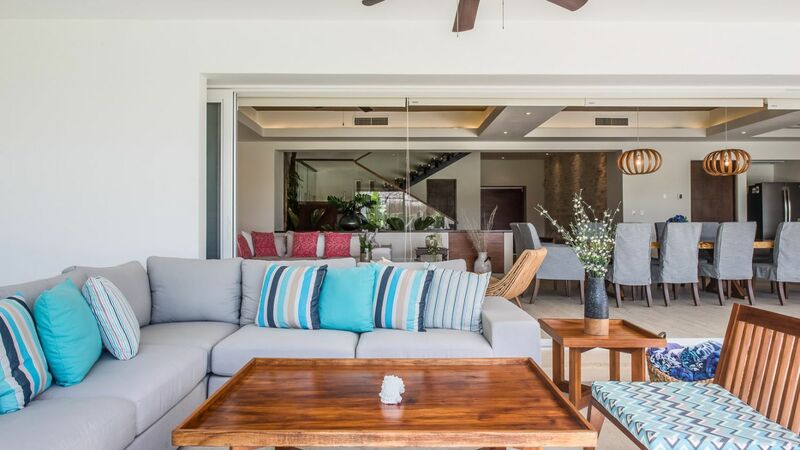 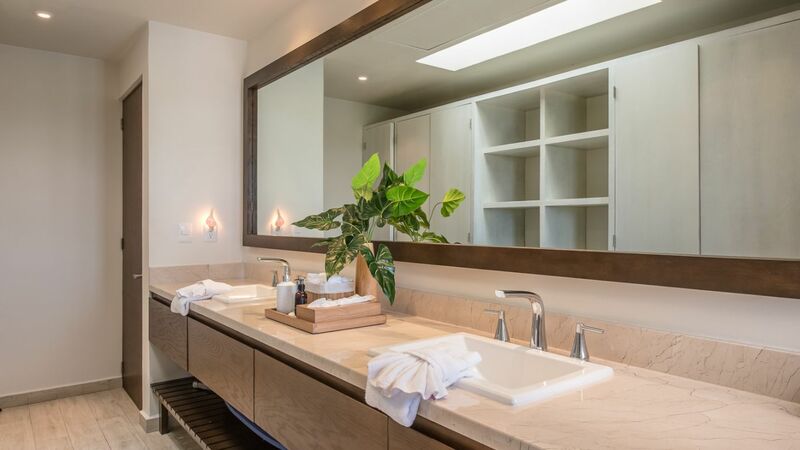 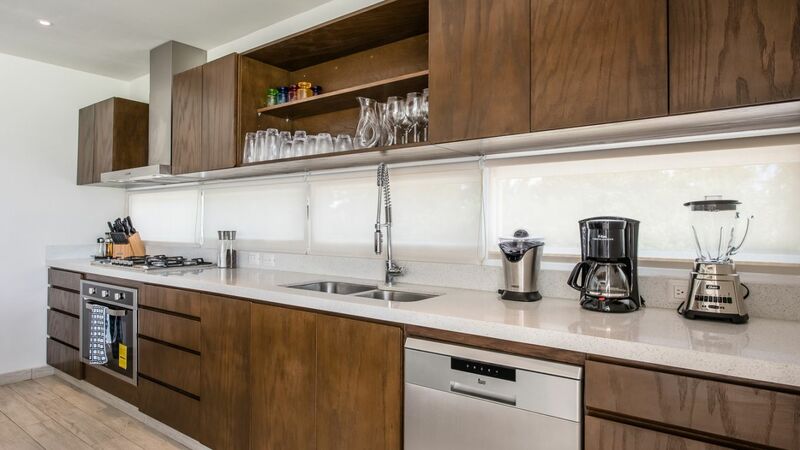 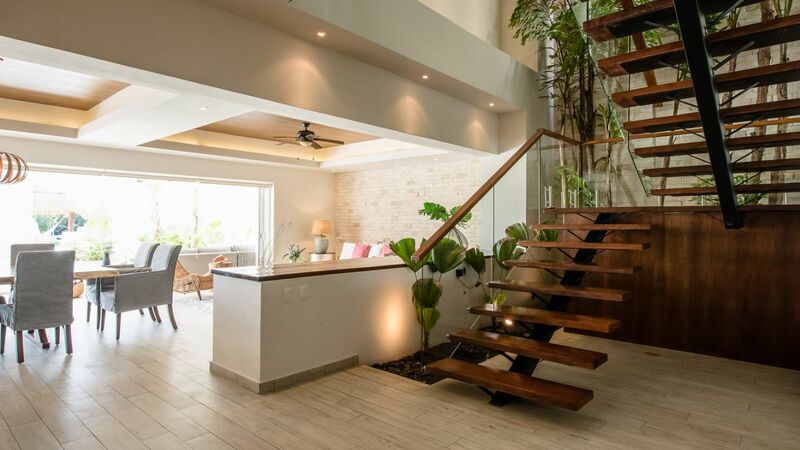 This villa has a Spanish colonial revivalist style of architecture, with a modern twist on the color scheme and decor featuring a fully equipped modern kitchen and a large common area. 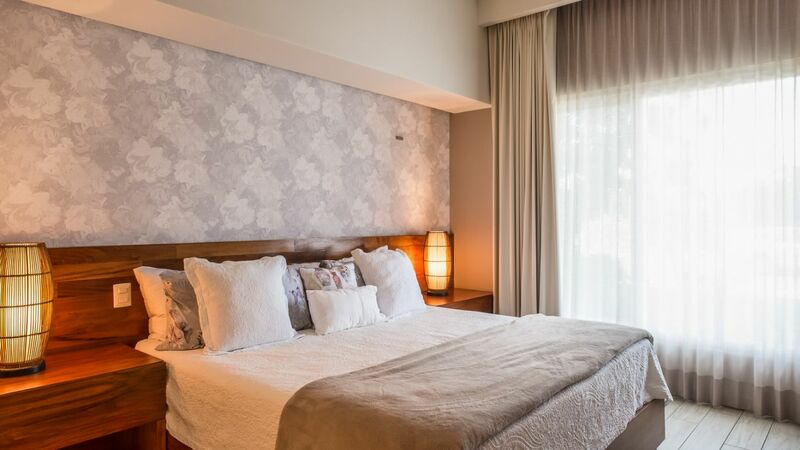 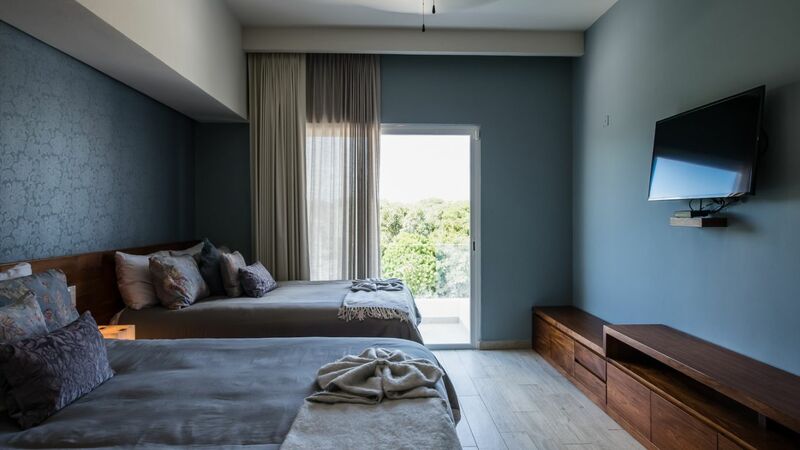 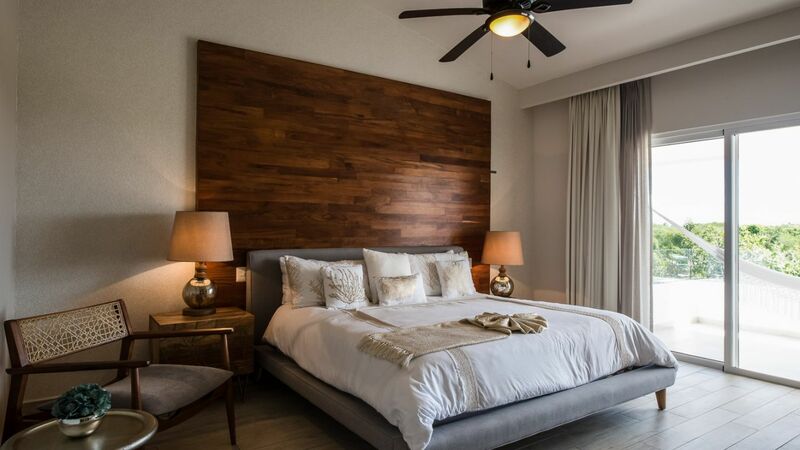 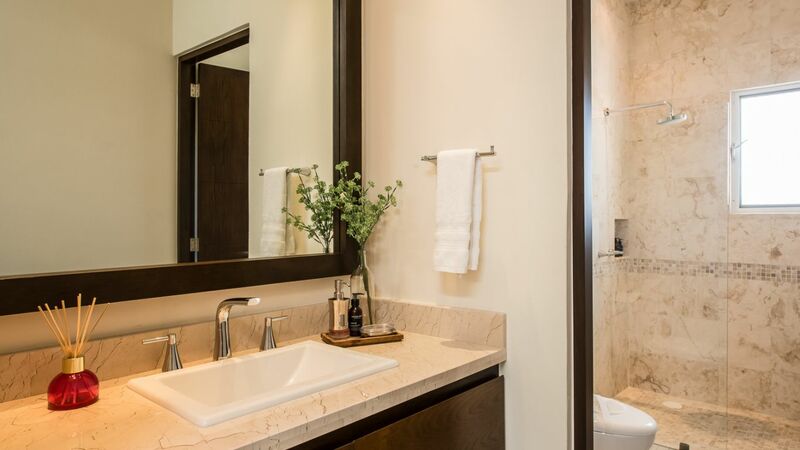 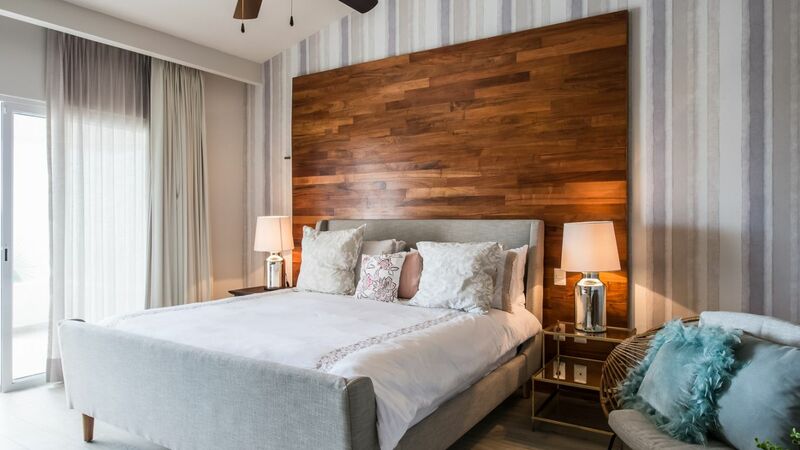 It also boasts of five gorgeous bedrooms with ensuite bathroom with stand-alone shower, walk-in closet, TV, air conditioning, ceiling fan, and balcony. 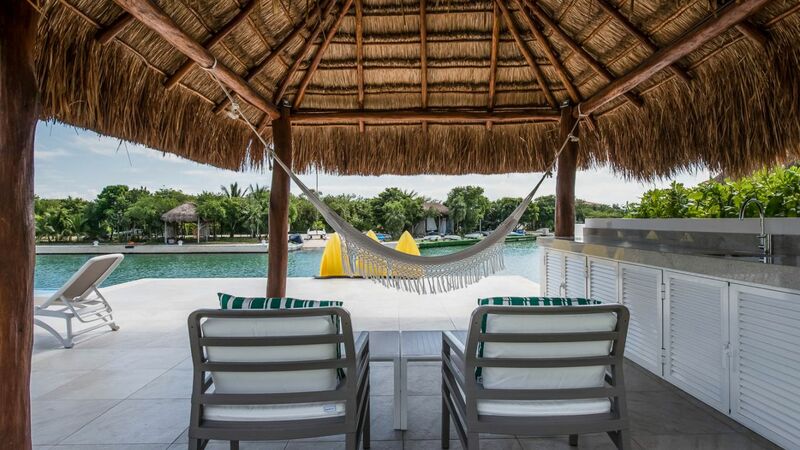 Relax on a hammock by the terrace or cool off in the infinity pool. 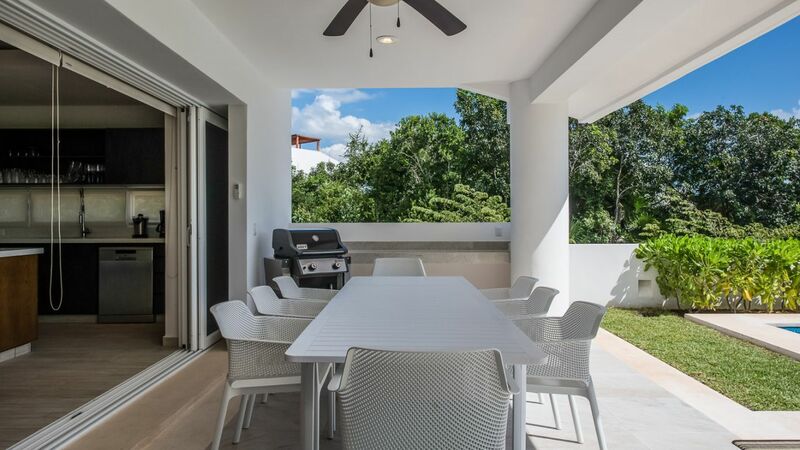 With an outdoor dining and bbq grill, guests can dine alfresco right next to the pool or around the wet bar.